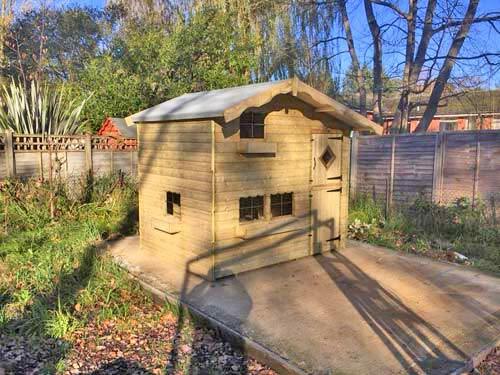 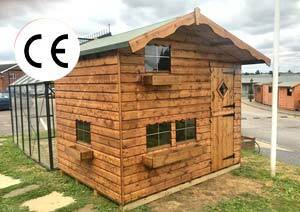 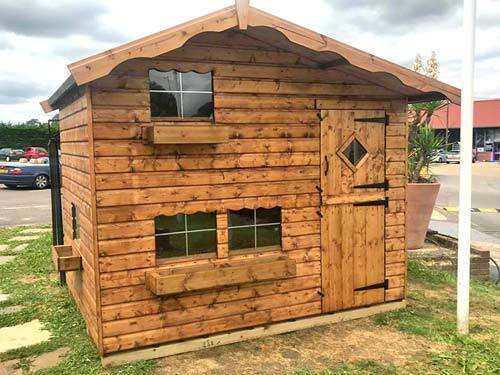 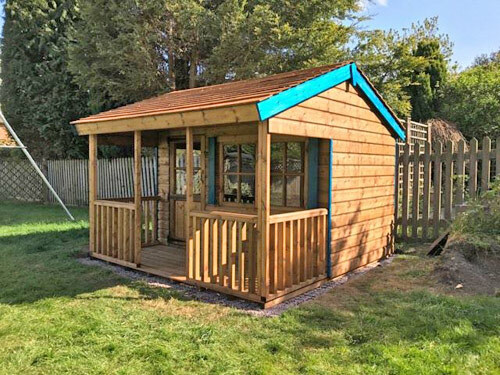 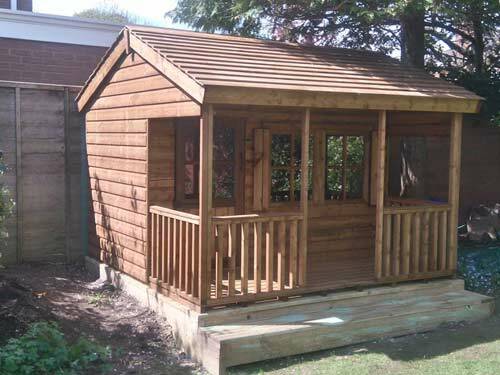 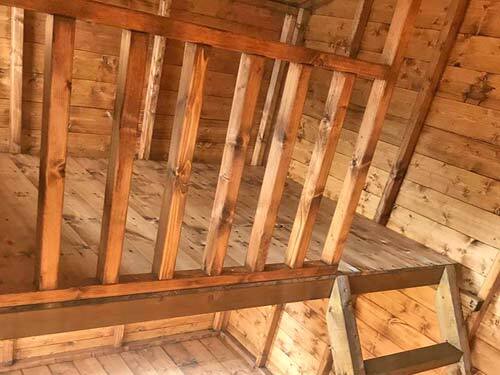 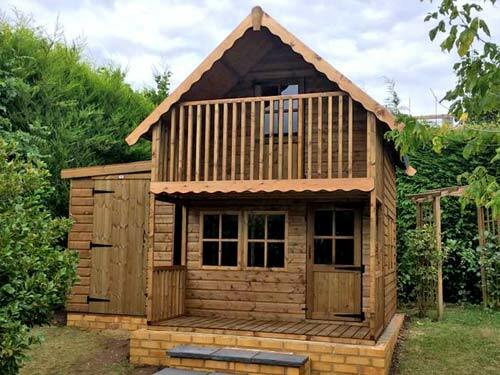 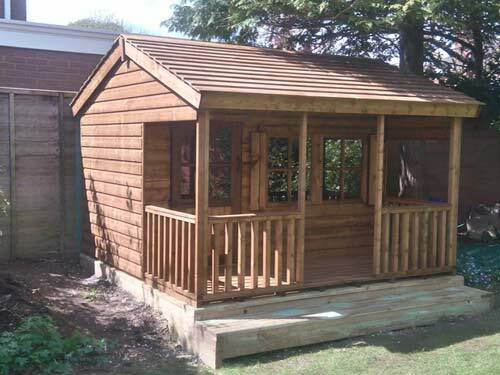 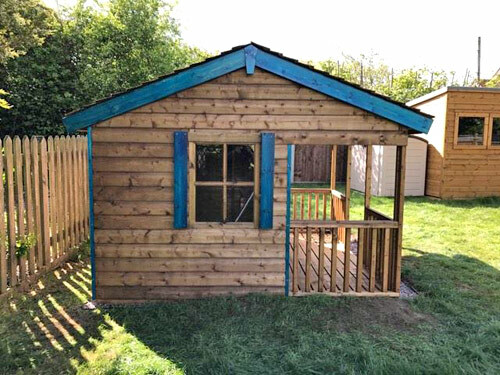 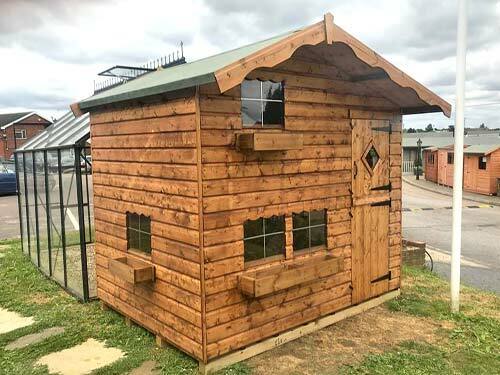 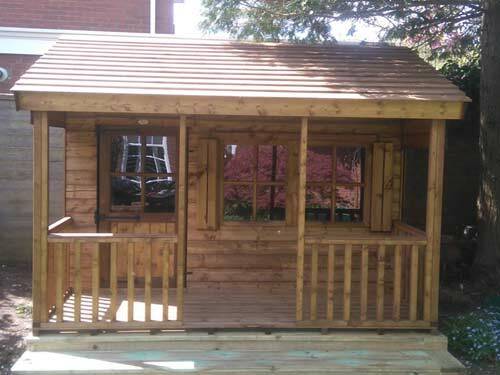 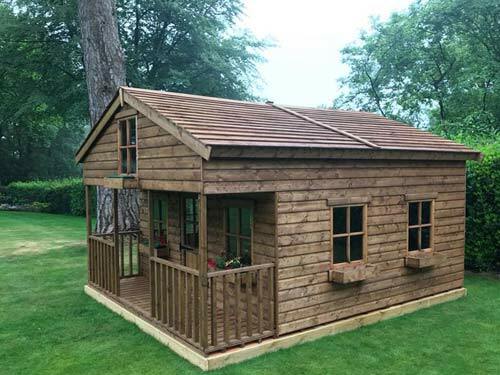 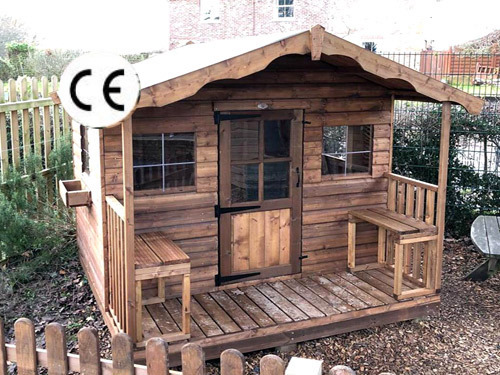 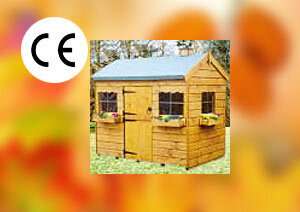 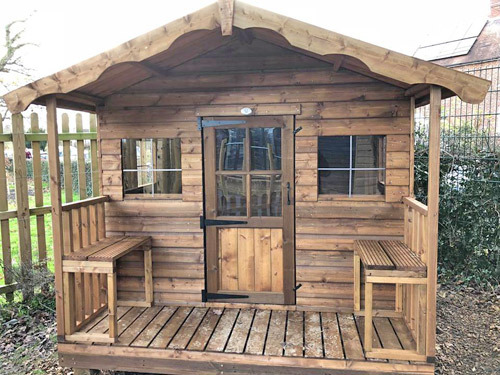 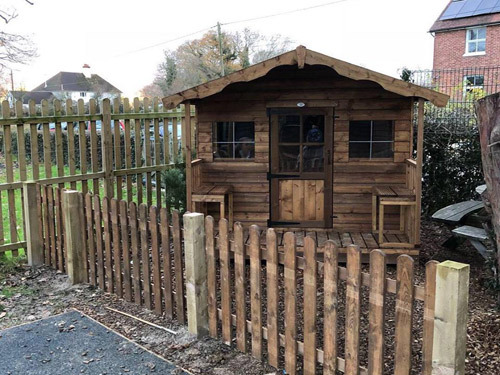 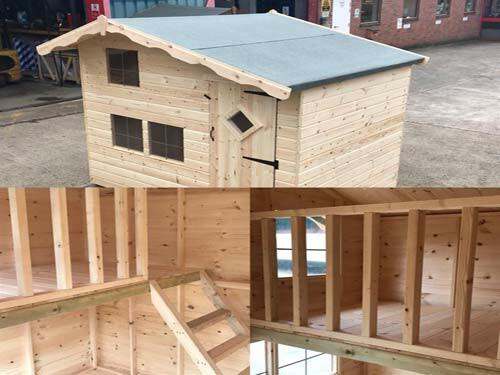 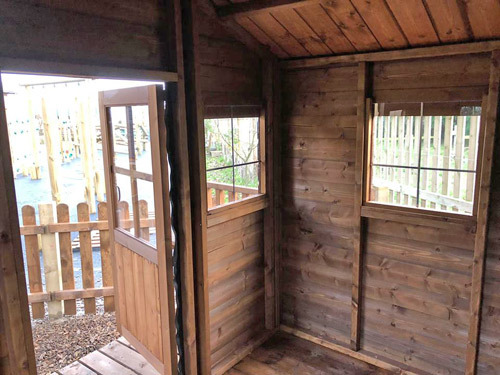 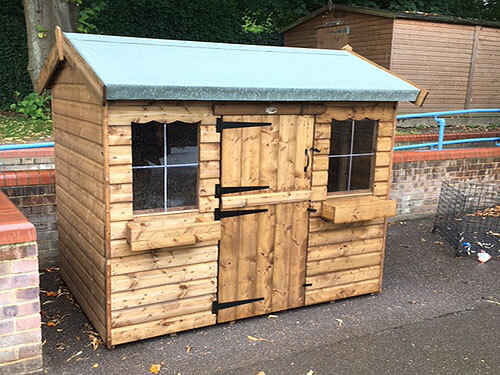 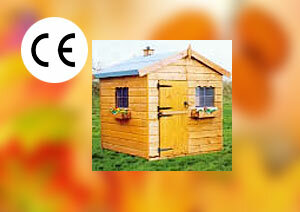 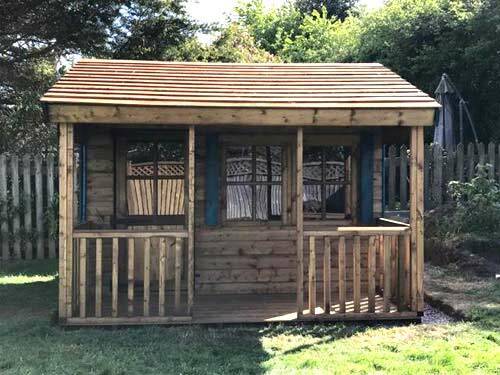 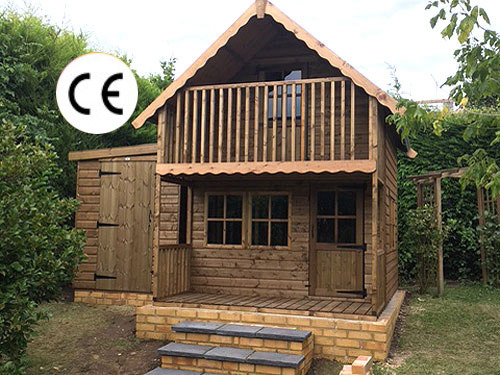 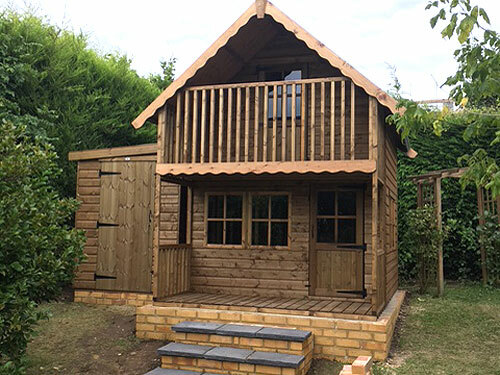 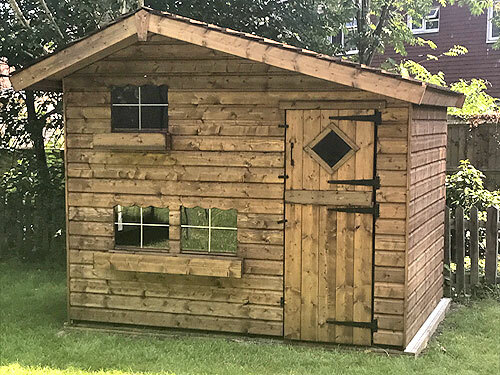 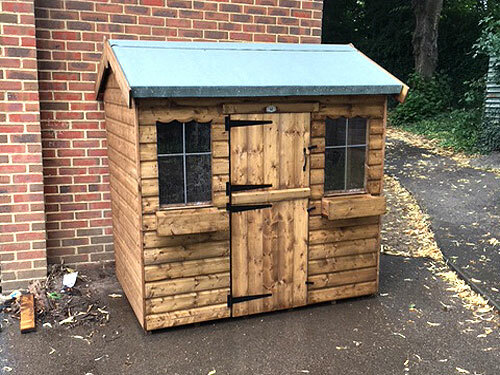 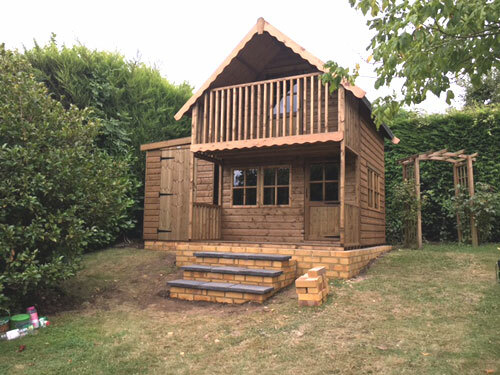 Our children's corner timber buildings are all manufactured to comply with BS 5665 and European Standard EN 71. 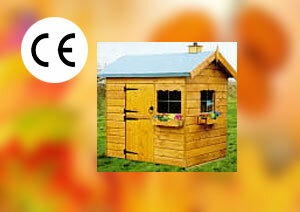 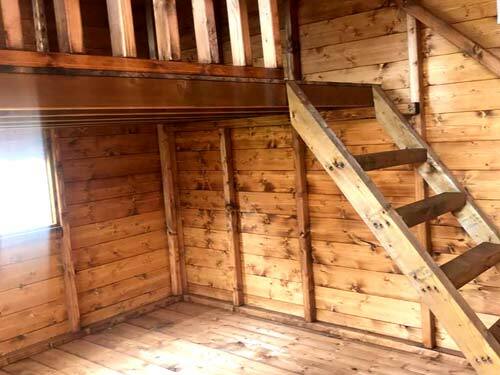 The buildings with upper floors are not recommended for children under 36 months. 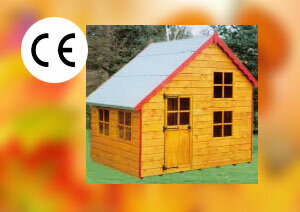 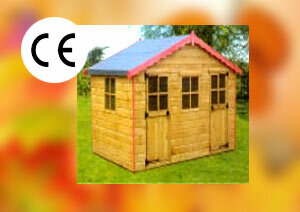 The Ranch house shown has a rustic roof which is an optional extra. 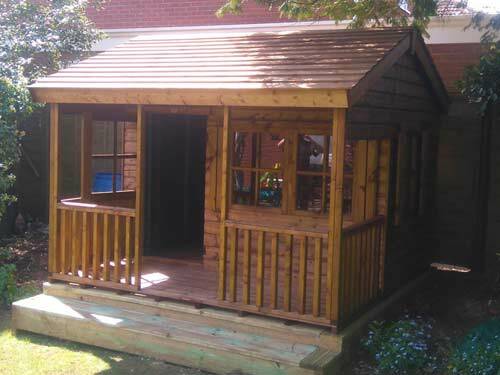 My playhouse was delivered today and I couldn't be anymore happy with it, the kids love it ! 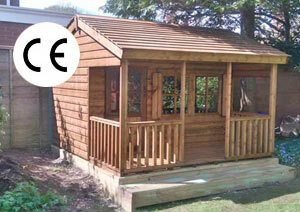 Service was great from start to finish and the two men who put it up were very pleasant and efficient. 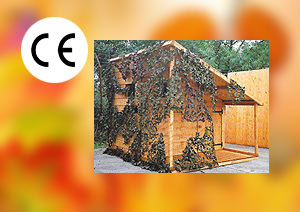 Thank you very much, I will definitely be recommending to all friends and family !